The procedure begins with a small volume of the patient’s blood being drawn and then centrifuged to separate and concentrate the platelets into the plasma. The PRP is drawn into a syringe containing calcium chloride, which activates the platelets. Activated platelets release growth factors, the proteins responsible for repair and regeneration of tissue, including hair. The activated platelets are then introduced to the affected area by fine needle injection. Patients report a high degree of tolerability, but for those patients that are sensitive or apprehensive, a local anesthetic can be used to reduce the sensation. The entire procedure takes approximately an hour with much of the time being allotted for the PRP preparation. Come visit us on our Vancouver clinic. Results are not immediate and may take 3-6 weeks to notice hair thickening. 2-4 treatments, 4-8 weeks apart are generally required. ¹Khatu, Swapna S et al. “Platelet-Rich Plasma in Androgenic Alopecia: Myth or an Effective Tool.” Journal of Cutaneous and Aesthetic Surgery 7.2 (2014): 107–110. PMC. Web. 4 Jan. 2016. What is the process of getting PRP? The blood is then spun in a centifuge to separate the different components (e.g. red blood cells, white blood cells and plasma). Once the blood has been separated, the plasma PRP) is extracted from the tube. The PRP is injected into the desired treatment area. Typically we can apply 150 manual applications of PRP to the face. However, manual injections can vary in depth. We are now using new techniques that allow over 900 applications of PRP with consistent depth to the face for greater results. Ultra sound guided PRP with Ozone for joint support? PRP is a great option for join pain. Do you have a nagging injury that is not getting better. Do you need a joint brace for your knee, elbow or ankle that is slowing your down? Have you plateaued with your rehabilitation? If you answered yes to one of the above questions, you may be a candidate. PRP with ultra sound guided injections may allow your body to activate, rejuvenate and regenerate cells in your joint(s). The PRP may assist your body in healing and generating new tissue. With the combination of PRP and Ultra Sound guidance, the practitioner has the ability to specifically put the PRP to the necessary area(s) that needs healing. The use of U/S guidance may decrease the amount of injections, may increase safety and may allow the joint the heal faster as the placement PRP is specific to the exact location of the injury. The ozone gas injection, stimulates the local circulation and the cells in the joints to start repairing themselves. As ozone is a gas, it disperses easily throughout the joint and may stimulate tissues, causing a widespread healing response. Talk to us to see if you are a candidate for PRP with ultra sound guided injections. 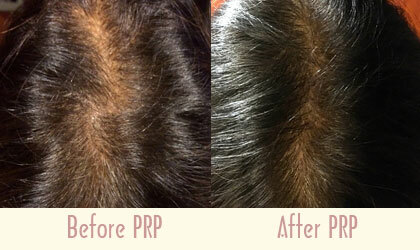 Why PRP with ozone for hair restoration? Platelet rich plasma (PRP) is proactive, therapeutic hair rejuvenation that is used to help treat classic signs of hair loss. PRP may aid the body's natural repair process and contain Growth Factors known to boost the growth of hair follicles cells and revitalize the hair root foundation to grow thicker and healthier head of hair. The addition of ozone to PRP can activate additional cells including PRP and create more circulation and healing the in the target area. PRP can be used to help optimize and assist Growth Factors in treating inactive or recently transplanted hair follicles. PRP uses your own blood to isolate plasma, where a concentration of nutrients and platelets reside. Platelets are cells that naturally assist your body in healing and generating new tissue. Platelets also contain Growth Factors, which are involved in cell migration, and ultimately activate, rejuvenate and regenerate cells throughout the body. By isolating and the PRP portion of your blood and injecting it back into target regions, you are able to fight the signs of lost or thinning hair using your body's natural biology. Advantages of the PRP treamtent? PRP takes time to facilitate the potential rejuvenation effect. Generally results can be seen as soon as three to six months. Results vary from person to person, based on genetics, hormonal balance, age, nutritional status, lifestyle etc. 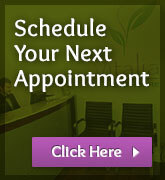 Multiple treatments may be necessary to obtain optimal results for your hair loss condition. Consult your naturopathic physician for realistic expectations regarding the specific reason(s) of your hair loss and the optimal number of treatments that may be necessary. Hair is primarily made up of a sulfur rich protein called Keratin. Keratin is made from a combination of amino acids and micronutrient cofactors. Important nutrients for healthy hair formation include :Sulphur, Biotin, Iron, Copper, Lysine, Zinc, Manganese, Lysine, Proline, Vitamin D, and B vitamins. Hair grows from the base of the follicle, known as the bulb. The Bulb is supplied with nutrients from the body via tiny blood vessels. The cells of the bulb divide rapidly which results in 0.3 mm to 0.4mm of hair growth above the scalp, per day. The bulb and hair follicle are susceptible to subtle changes in their environment. Hormonal changes, chemicals, stress, and poor nutrition will significantly impact the rate of division and quality of cells being produced. Hair growth follows three stages: anagen, catagen, and telogen. At any given time, a random number of hairs will be in one of three stages of growth and shedding. Anagen is the active growth phase. The cells in the root of the hair are dividing rapidly. A new hair is formed and pushes the old hair, or the hair that has stopped growing, up and out. During this phase the hair grows approximately 1 cm a month. Scalp hair stays in this active phase of growth for two to six years. About 85% of the hairs are in the anagen phase at any given time. The longer the hair stays in the anagen phase, the longer the hair can grow. Individuals that have difficulty growing their hair long, tend to have a shorter anagen phase. Catagen phase is a transitional stage and about 3% of all hairs are in this phase at any time. This phase lasts for about two to three weeks. Signals are sent out to stop growth. The hair follicle shrinks and blood flow is diminished. The follicle detaches from the bulb, allowing the bulb to rest. Telogen is the resting phase and usually accounts for 10-15% of all head hairs. This phase lasts for about 3 months for hairs on the scalp and longer for hairs on the eyebrow, eyelash, arm, and leg. During this phase, the hair bulb is completely at rest and the club hair is completely formed. This phase is known as the “shedding phase”. The hair, separated from the base and nutrient supply will eventually be pushed out by the newly forming follicle and hair beneath it. How do Hormones Affect Hair? Estrogen: can stimulate new hair growth and extend the anagen phase. Hair thinning in women generally becomes noticeable around menopause and in conditions like PCOS where female hormones are lower and androgens elevated. Progesterone: This hormone helps keep your hair thick and full by counteracting, or inhibiting, the effects of 5-alpha reductase, which converts testosterone to dihydrotestosterone (DHT). DHT is a strong testosterone and is responsible for hair miniaturiziation seen in androgenetic hair thinning. 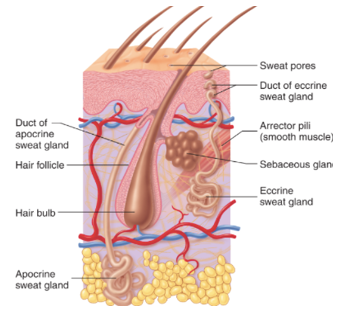 Dihydrostetosterone (DHT): This hormone is the main culprit of hair thinning and loss. Hair loss is an inevitable part of aging. Hormonal imbalances, certain health conditions, and some medications can also contribute to thinning hair. One effective solution to hair loss is platelet rich plasma, or PRP. This non-surgical hair restoration therapy stimulates hair growth in both males and females. Platelets in the blood contain growth factors that are responsible for the body’s repair process. These growth factors can also help prevent hair loss and boost hair growth for a fuller and healthier head of hair. While men are more likely to lose hair than women, many females also struggle with premature hair loss. Reasons can range from nutrient deficiencies to more serious underlying health conditions. Treatment primarily depends on the cause of the hair loss and its severity. Most of the time treating the underlying cause can curb hair loss. For example, physical stress in the form of surgery, trauma, or illness can cause temporary hair loss. Once the stress has ceased, the hair loss will typically come to a halt. Hormonal problems, such as imbalances, are a fairly common cause of hair loss. In some cases such as pregnancy, the hair loss is temporary until the hormones level out following birth. In other causes, chronic hormone problems can cause continued hair loss. Elevated androgens, insulin issues, and fluctuating thyroid levels can also lead to hair loss. If you think that your hair loss is associated with hormone problems, undergo testing to determine the primary cause. Many of us take our hair for granted until it begins falling out, effecting our self-esteem and confidence levels. While you can’t always prevent hair loss or thinning, you can help reverse it with the right treatment plan. Platelet rich plasma treatments have seen excellent results in clinical studies and the natural-looking growth speaks for itself. To learn more about our treatment options using platelet rich plasma or to schedule a consultation with our team of naturopathic specialists, contact Vitalia Healthcare today. Platelet rich plasma is a type of concentrated plasma that contains an estimated three to five times more platelets than that found in normal blood. Platelets release bioactive proteins known as growth factors such as PDGF, VEGF and TGF which are responsible for wound healing. 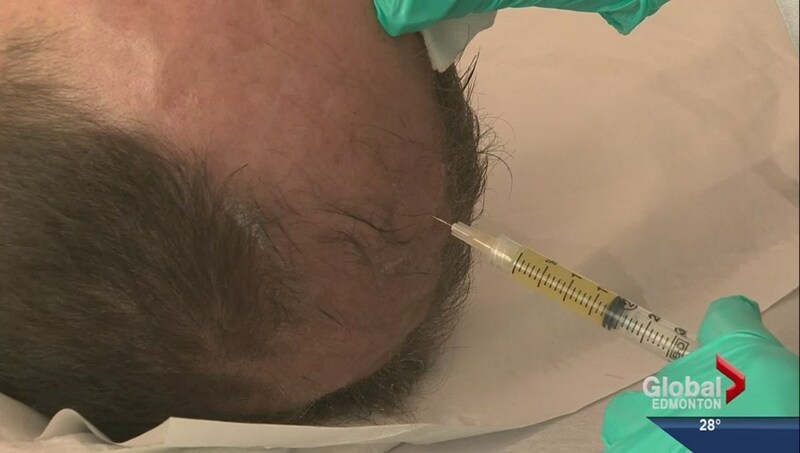 Researchers have found that they can regrow hair in patients with thinning hair with a series of PRP injections into the scalp. Platelet rich plasma has been used in the sports medicine industry for years to treat injuries to the joints and muscles. In the case of hair loss, PRP forces newly implanted or inactive hair follicles into active growth to get the hair to start growing again. As the person’s own blood is used for the treatment, it’s considered safe and highly-effective. Do PRP Treatments for Hair Loss Work? The short answer is most of the time. Results vary from patient to patient and not all will get the results they’re expecting. However, PRP preliminary studies do indicate that most patients will respond to PRP therapy, especially when performed on a routine basis every three to four months. For surgical patients, using PRP before or during surgery can increase the odds that the graft survives. It is Dr. Waller’s clinical experience that PRP works in about 85% of cases. Who’s a Good Candidate for PRP Treatment? If you have thinning hair or androgenetic alopecia (male pattern baldness) you may be a good candidate for PRP treatment. The treatment is especially advantageous for those in the early stages of thinning hair who still possess some active hair follicles. Candidates should be in good health and have realistic expectations about the final results of the procedure. Some people are not good candidates for the treatment, such as those with bleeding problems, a history of cancer, recent blood infections, poorly controlled diabetes, or uncontrolled thyroid disorders. Dr. Waller, ND requires a 30 minute consultation to determine if you are a suitable candidate for treatment and to rule out any conditions that may be exacerbating hair loss. Dr. Waller does not usually encourage PRP Hair treatments if she believes an underlying health condition needs to be addressed first, in order to maximize the results of the treatment. What Is Recovery Like Following Treatment? The PRP process, including the injection, takes approximately 60 minutes. It’s recommended that you undergo 2-3 treatments 4-6 weeks apart. After that, two maintenance treatments each year are recommended to maintain results. It can take about three months to see the results of PRP visually. Following the procedure, you are asked to restrict activity, avoid public saunas and steam rooms. You may rinse your hair with water 6 hours after treatment. While there may be some mild inflammation in the form of redness, this will usually go away within several hours. Some patients also report mild numbness on the scalp which also goes away on its own. Avoid coloring or perming hair treatments for at least 7 days after the treatment.